This program was built and funded for the sole purpose of no kid missing a lunch. It's possible this is the only meal of the day for some kids. Would you want your child to miss a lunch? The long term goal is to have a 'Donate' page for every school in Garden City. It's aeasy to get involved. If you have a credit card or Pay Pal account, just enter the amount of money you would like to 'pay forward' in the box on the right. Choose what type of method you want to pay with. It's that easy. Why Pay It Forward? Where Does It Begin? Have you ever been the recipient of someone's kindness? It was just a random act, but it really made you feel awesome, right? One possibility for certain is that it makes you feel good. Another possibility that generosity among strangers can be socially contagious. Its simple, if you receive an act of kindness, you are more likely to help others, even if your own action isn't immediately rewarded. 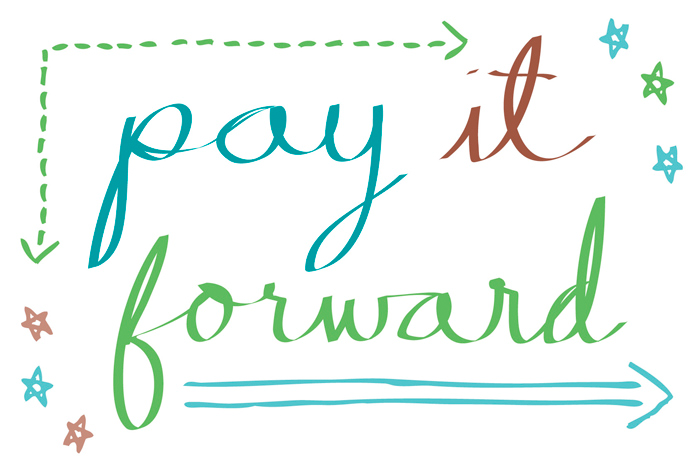 Rather than 'repay' someone for his or her act of kindness, Pay It Forward! Start today! No better cause than when it benefits our children. 100% of this money goes to funding the lunch program!